Between 20th and 26th November 2017, NNEdPro Chairman Prof. Ray delivered lectures in Singapore, Brunei and Australia. In Singapore, Prof. Ray met with NNEdPro senior collaborator Dr Mei Yen Chen and colleagues at National University Hospital to discuss establishing a regional training hub in 2018-2019. In Brunei, Prof. Ray delivered seminars at the Jerudong Park Medical Centre on Nutrition and Cardiovascular Prevention, followed by a seminar at the University of Brunei Darrusalam on nutrition capacity building. In Australia, the first stop was the University of Wollongong, where Prof. Ray met with nutrition faculty, clinicians and the International Dean to formalise NNEdPro collaboration and the hub for all future Aus-NZ work. This was followed by a lecture on strategies to combat the global burden of malnutrition. At Deakin University, Prof. Ray joined NNEdPro senior collaborator Prof. Caryl Newson at a mini symposium looking at lifestyle medicine, nutrition and global challenges requiring inter-regional collaboration. The final stop was at the Nutrition Society of Australia for a very successful Aus-NZ network meeting titled ‘Nutrition in Health Professional Education’. Photographs from NNEdPro’s lecture series can be found on our twitter page. 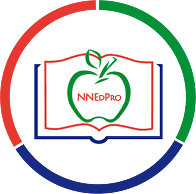 Please follow @NNEdPro for all future updates!